SAN SALVADOR, El Salvador — The line of the hopeful forms every weekday morning at the American Embassy in San Salvador. The scene is both intense and poignant. A line of several dozen families snakes its way along a sidewalk across the street. Infants are wailing in their parents’ arms as clouds of black diesel spewed by passing trucks envelop the crowd. A few feet away, heavily-armed Salvadoran police patrol the embassy perimeter. The would-be migrants are waiting for their turn to launch a formal application to enter the United States. That scene unfolds against a backdrop of new statistics from the U.S. Department of Homeland Security (DHS) that some analysts believe may portend a new surge of Central American migrants. In October, the number of unaccompanied minors from Central America almost doubled compared to the same month in October 2014. And in September of this year, there was an exponential increase of attempted crossings by unaccompanied children compared to September 2014. DHS says nearly 4500 unaccompanied minors were stopped, an 85% increase. In the summer of 2014, over 100 thousand Central American children and families were caught trying to enter the U.S. illegally. Those numbers fell after the U.S. asked Mexico to strengthen interdiction on it southern border. But now there are concerns because the numbers appear to have risen recently. Whether the rise is temporary or otherwise is a subject for discussion among law enforcement agents, human rights activists and immigration experts. “There’s fear in the streets wherever we go,” said 31-year-old Antonio Turcios in Spanish. He is a painter, a married father of a five-year-old boy. He wants to arrive in the U.S., but legally. So he was at the embassy for an initial interview. Thousands of other Salvadorans don’t bother. Neither do others from Central America’s so-called Northern Triangle — El Salvador, Guatemala and Honduras. They just go. “At the very least to escape the reality that we have here,” Turcios said. The reality Turcios describes is tenuous at best. For context, Fronteras Desk spoke with Alberto Arene. He is the former chief of CEPA, the Spanish acronym for the Salvadoran agency that runs the country’s airports and ports. Arene said gang warfare unfolding in El Salvador is playing out across the region. “Now these countries are trapped in a vicious circle of murder and economic and social stagnation,” he said. Last year a two-year truce fell apart between two enormously powerful regional gangs, Calle 18 and Mara Salvatrucha, also known as MS-13. The word “gang” belies the highly-structured, vertically-integrated nature of these groups, known for their penchant for tattoos and brutality. Both Calle 18 and Mara Salvatrucha were established in Los Angeles. They emerged in the 1980s when Salvadorans fleeing a particulary barbaric civil war fought off attacks by Mexican immigrants in California. I spoke with a man named Roberto – an unapologetic member of Calle 18 – in a prison near the port city of La Libertad. He would not give his last name. “We are two gangs so large that (we) control where the government does not,” he said. He also claimed that his gang looks out for the interest and security of ordinary Salvadoran citizens. He’s in a prison awaiting trial for weapons offenses. Inside, members of one gang are separated from the other. “People fear us,” he said while standing in a small cinderblock basketball court at the bottom of a man-made ravine inside the prison. “In reality we’re not out to hurt people. We just fight amongst ourselves,” he said. The truth is starkly different. Salvadoran and international media and police officers here report that both gangs kill bus drivers whose bosses won’t pay extortion, kill passengers on those busses, and that they murder police, each other and innocents who make the mistake of crossing into their territory. In the first 10 months of this year, El Salvador reported nearly 5,500 homicides. Elizabeth Kennedy, a Fulbright Scholar and social scientist at San Diego State University has calculated that the number is higher than any other nation not at war. She described a situation in Central America that is dire. Much of the violence is attributed to the gangs, or maras in Spanish. “It’s part of the symptoms of what was going on in the country. If the people had work & if the people had futures, why, why do the have to go to maras?” Don Pepé Simán asked rhetorically. Simán is a scion of one Salvador’s most prominent business families. He said the 12-year civil war that ended in with peace accords in 1992 never really ended because it did not address the inequality and poverty that spawns crime. And some of that learning took place in the U.S. In 2013, DHS said close to half the Salvadorans deported from the U.S. back El Salvador had a criminal record. 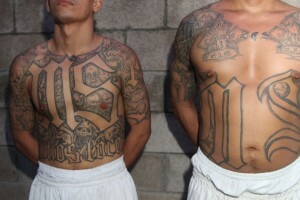 Some have joined local chapters in El Salvador of whichever gang they belonged to in California, Arizona and Texas. Salvadoran Congressman Jose Santos Melara Janes is a security specialist in the FMLN, the former guerrilla force whose leader is today El Salvador’s president. 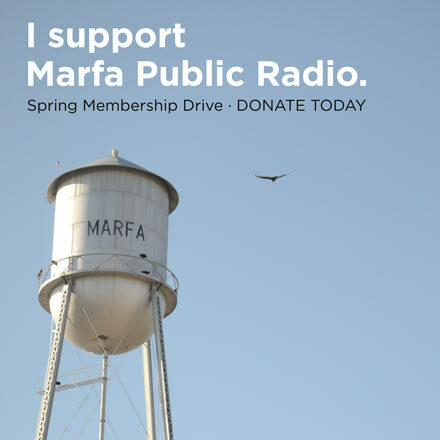 Melara wants the U.S. help fund a full scale attack on organized crime here. “Gangs and drug trafficking are all over Central America,” Melara said in Spanish at the FMLN’s parliamentary headquarters. “Now the gangs here are heavily armed with weapons of war,” He says. The U.S. is spending millions on PR to convince Central Americans to stay home. But the PR campaign does not appear to be working given the new DHS statistics previously cite. There’s a song playing on the radio here. Many people don’t know it’s part of a U.S. government PR campaign in Central America. “Migrants from everywhere, entrenched along the rail ties. Far away from where they come, further away from where they go,” the lyrics read in Spanish. The song harshly describe a series of trains called La Bestia, The Beast, that bring migrants from southern Mexico on their way north. The words warn that Central American migrants are preyed upon enroute by Salvadoran gang members. The lyrics also dispel a myth, namely that children who arrive will be granted U.S. residency. But the PR campaign is apparently being trumped by the facts on the ground. Here’s one example; A call comes in to police. Someone has reportedly been attacked in a neighborhood police say is gang-controlled. The detective in the car asks that his name not be mentioned. He fears retribution from gang members. “We’re in an uncontrollable situation,” he said in Spanish referring to organized crime. 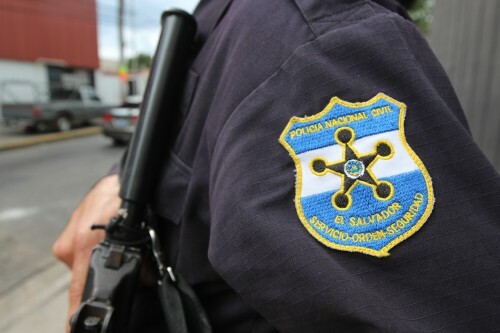 Salvadoran police said gangs not only demand extortion, they also judge and sentence people – to detention or death – and they decide where people can live, in effect a parallel state. On this run, the combatants and their reported victim have scattered. The police leave the scene. Later that day, I met an second gang member, this time an MS-13 member who said his name was Carlos. He wouldn’t give his last name. “We are who we are, from the streets,” he said in Spanish. Staring at a cinderblock wall, he echoed the gang’s public mantra – a challenge to the Salvadoran government. “They could listen to us, make the people at the bottom of society count for something,” he said in Spanish. I spoke again with Alberto Arena, the economist and political analyst after speaking with the second gang member. “What we export mainly is people, not goods and services. We have to turn around that equation,” he said. Many gang members in Central America were deported from the U.S. with criminal records. Police here say that in turn led led to a rise in violence. But Arene said it’s both simplistic and unfair to blame the U.S. solely for the current insecurity in El Salvador. But Arene also believes Washington could help out El Salvador and neighboring Guatemala and Honduras, by making one change in procedure. “When the United States deports people that have been involved in illegal activity, violent activities, it’s very important that at least they’ll share the record with the national authorities of these countries for people to know who they are receiving. This hasn’t been done,” he continued. But even if they locked up criminal deportees here, where would they put them? “Our prisons are jammed,” he said. The lieutenant also asked that his name not be used, also wary of the possibility of retribution. He added that might succeed in convincing people that they can stay in Central America. The Obama administration has proposed a tripling of aid to the region. 80% would go to civil society and economic development. But both the House and Senate have sent back versions that one analyst, Adam Isacson of the Washington Office on Latin America (WOLA) said dilutes the proposal. Congress is expcted to vote on that request as part of an overall budget package that expires Dec 11. This entry was posted in KRTS News and tagged Border Issues, Border Policy, Central America, Central American Migrants, Crime, El Salvador, Fronteras Desk, Gangs, migration. Bookmark the permalink.